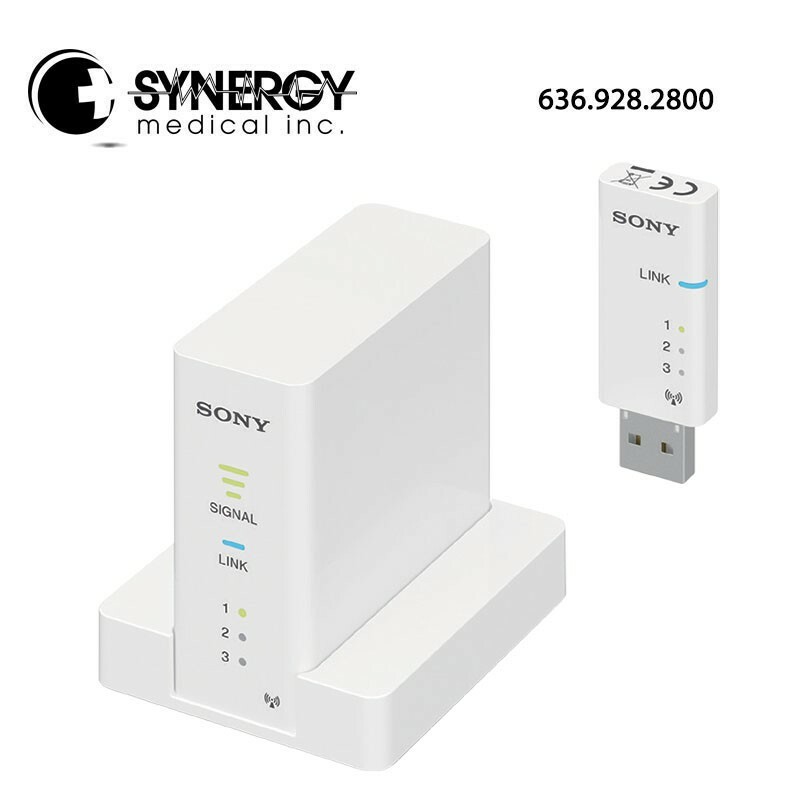 The UPA-WU10 wireless print system allows cable-free connection of compatible Sony medical printers with compatible surgical endoscopes, ultrasound systems, and other hospital imaging modalities. * The system effectively replaces a conventional wired USB connection between printer and imaging modality. It’s ideal for busy clinical environments, where modalities are constantly being moved between different O.R. and treatment rooms. The all-in-one wireless print solution also resolves the problem of limited space on medical carts, allowing connection between the modality and an “off-cart” printer without a lengthy USB cable. UPA-WU10’s transmitter searches for any receiver and automatically pairs with the closest transmitter emitting the strongest signal. The system replaces a USB cable connection to the modality with a wireless link. No additional software is needed, other than the printer driver installed on the modality. The wireless connection between devices is automatically re-connected if the modality is moved to another room. Three radio channels allow simultaneous transmission among multiple transmitter/receiver pairs. This permits use of up to three printers in the same room (requires separate UPA-WU10 unit per printer). The UPA-WU10 system wirelessly transfers data from modality to printer. The maximum transmission range is approximately 10m, using Ultra Wide Band. Wireless connectivity to the modality means the printer can be placed anywhere within transmission distance, leaving more room on the medical cart.